Despite technical problems that delayed business on the German stock exchange by an hour, Siemens AG raises $5.2 billion in its Healthineers IPO. Funds will be used to invest in molecular diagnostics and to acquire US-based health IT startups. From Lizzie Borden: “Re: Theranos board and advisors. It looks like at least one member of the infamous company’s scientific advisory board is getting proactive about making sure industry insiders know she’s distanced herself from the company.” The Washington University School of Medicine has indeed assured the media that professor Ann Gronowski left the Theranos board at the end of last year, even though the company’s website still lists her as a member. Sources report that two other advisers still remain on the SAB, which was formed in 2016 to lend credibility to the company’s under-fire efforts. Thanks to those who responded to “What I Wish I’d Known Before … Taking My First Hospital IT Executive Job.” I can’t say I’m surprised at how frequently hospital politics came up. The next installment of the series is your chance to help future patients and caregivers learn from your past experiences in the hospital or ED. 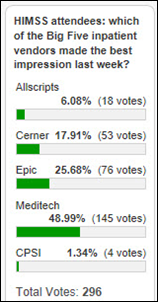 Meditech was the favorite in a highly unscientific poll that mostly garnered votes from IP addresses associated with the vendors listed. New poll to your right or here: How far along are EHRs in delivering a "comprehensive health record" that paints a full patient picture? Mazars USA opens a new office in Los Angeles. Tri Valley Health Center (NE) will go live with Meditech on May 1. Morristown Medical Center (NJ) will go live with Epic in June. Northside Regional Medical Center (OH) will switch from Cerner to Meditech in June. CNBC reports that Amazon has hired Taha Kass-Hout (Trinity Health) to head up healthcare project business development on its Grand Challenge team. Also known as the 1492 Lab, Amazon’s team stealthily launched last year to focus on projects related to medical records management and access, though not much has been heard from them since. Much is being made of the fact that Kass-Hout was the FDA’s first chief health informatics officer. 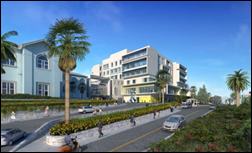 In Bermuda, the Hospitals Board integrates eForms from Access with its Cerner EHR at King Edward VII Memorial Hospital and the Mid-Atlantic Wellness Institute. 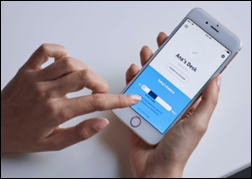 Medication management vendor DrFirst deploys FDB’s new Opioid Risk Management Module as part of its support of Nebraska’s PDMP. In January, Nebraska became the first state to require tracking of all prescription drugs. This sounds a bit Big Brotherish to me: Herman Miller introduces a smart office chair that, when paired with its smart desk and app, gives employers insight into how long workers spend at their desks, times of highest productivity, and whether they’ve gone to the restroom or left for the day. Parallon announces a reseller agreement with Cerner. CommonWell Health TV interviews Redox Chief Customer Officer Devin Soleberg. ROI Healthcare Solutions launches the ROI Resource Group. Santa Rosa Consulting adds an analytics migration program to its business intelligence and analytics services. Philips Wellcentive will exhibit at the Population Health Colloquium March 19-21 in Philadelphia. Wolters Kluwer publishes its annual report. QuadraMed will celebrate Health Information Professionals Week, March 18-24, by providing HIP swag to any healthcare organization registering for a Lunch-N-Learn by March 30. Maryland Lt. Gov. Boyd Rutherford visits DrFirst’s headquarters to learn how the Rockville, MD-based company is fighting the opioid epidemic with Maryland-based partners MedChi, CRISP, and UMSOD. I for one did select Meditech. The people were welcoming and seemed to be the only ones insterested in having a discussion. Cerner literally left me standing there when I went to ask a question and Epic did not really have anything that was not there last year that I could see. They also never approached me when I went through the massive booth multiple times. Orwellian Aeron chair: If sitting is the new smoking, I sure this exercise motivator will have some real health benefits. perhaps a little electroshock to get us up and about on a regular basis. I’m looking forward to Weird News Andy’s updates covering the exhaust analysis feature: colon cancer screening, dietary recommendations etc.